Daniel Raimer, born in 1974, is the founder and owner of the Law Offices of Daniel Raimer. He studied law at the University of Münster. After his legal clerkship, he completed his second state examination before the Düsseldorf law examinations board. He also has a Masters in Law from the California Western School of Law in San Diego. During his studies, Daniel Raimer specialized in industrial property protection and copyright law. His passion for IT and technological issues dates back to his youth. Before going to college, he passionately programmed his Commodore Amiga in Assembler and even won a programming competition held by the Commodore Company at CeBit in 1994. Today, his expertise in data processing helps him enormously to advise clients in the ICT industry and develop tailor-made technical solutions. After completing his studies, Daniel Raimer worked for a Düsseldorf law firm for three years before starting his own business. In addition, Daniel Raimer is the Managing Director of enDebito collect & finance GmbH and is a member of the Board of Directors for several companies in the IT sector. 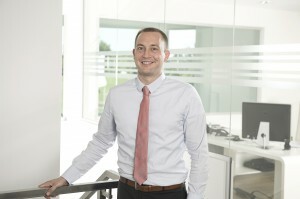 Jens Baum was born in 1983 and has been a member of the firm’s team since 2011. He studied law at the University of Cologne. He successfully completed his legal clerkship in Düsseldorf, along with his second state exam before the state law examination board, in 2011. During his studies, he specialized in industrial property protection and copyright law. 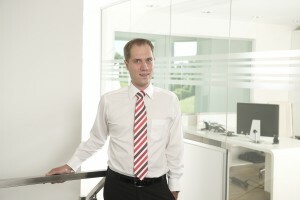 Jens Baum possesses excellent IT and programming expertise. For example, he is a programmer and operator for the website PHK-Rechner.de, which helps calculate the expected court fees and attorney’s expenses in terms of legal aid on a nonbinding basis. Rosaria Tarantino – Rosaria Tarantino is a legal assistant and handles the organization of the office. She has been a member of the team since the firm was founded in 2005. She is currently completing an advanced training course to become an office manager. Rosaria Tarantino speaks English and Italian. Jessica Rohrmoser – Jessica Rohrmoser is a legal assistant and is responsible for secretarial work and the reception desk. She has been a member of the firm’s team since 2011. Jessica Rohrmoser speaks English and Spanish. Magdalene Sikora – Magdalena Sikora began an apprenticeship with us in 2013 to become a legal assistant. She speaks English, Polish and French. Olga Meister – Olga Meister has been responsible for our accounting since 2013. She speaks Russian.